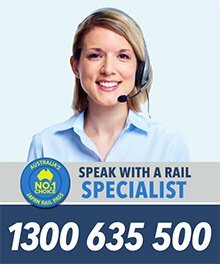 The fastest and most comfortable way to reach Tokyo from Narita Airport is via the Narita Express. 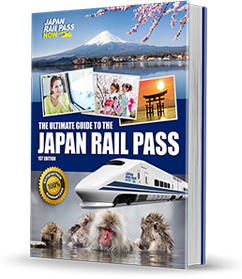 Once you exchange your Japan Rail Pass voucher for your actual JR Pass at a JR Ticket Office at the airport, you can reserve a seat on the train and be in central Tokyo in about an hour. Rikugien – A large, spacious garden with several hiking trails, various tree and plant species, and beautiful landscapes, the Rikugien is a popular autumn foliage viewing spot found in the heart of Tokyo. It is very accessible, just a 10-minute walk from Komagome Station on the JR Yamanote Line. Koishikawa Korakuen – Enjoy different Japanese and Chinese landscapes in their miniature forms at the Koishikawa Korakuen.From IIdabashi Station, on the JR Chuo Line, the garden is about a 10-minute walk away. Imperial Palace – The Imperial Palace grounds are spacious, with huge stone walls, moats, gardens, bridges, and buildings.From Tokyo Station, you can reach it in 10 minutes on foot. Kamakura – Many parts of Kamakura become enveloped in stunning red and yellow foliage from late November until early December, especially Shishimai Valley, Hasedera Temple, Genjiyama Park, Kenchoji Temple, and Kamakura-gu Shrine.There are two JR lines that directly link Kamakura and Tokyo ­– the JR Yokosuka Line and the JR Shonan Shinjuku Line. Travel by either route takes about an hour. Nikko – Once Nikko’s peak autumn season begins, the Yumoto Onsen, Shoyoen Garden, Lake Chuzenji, Kegon Waterfall, Yudaki Waterfall, Ryuzu Waterfall, and other autumn foliage viewing spots in the city become crowded with both local and foreign tourists.About two hours from central Tokyo, you can reach Nikko by taking a Shinkansen to Utsunomiya Station, and then transferring to the JR Nikko Line. 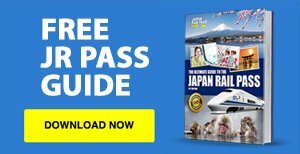 Travel costs from Tokyo to Sapporo are covered by your JR Pass. From Tokyo Station, board a Shinkansen going to Shin-Hakodate-Hokuto Station, where you need to transfer to the Ltd Exp Super Hokuto Line to Sapporo Station. One-way travel takes about eight hours. 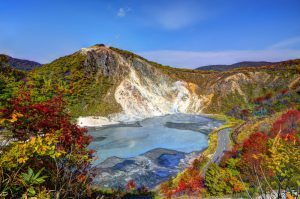 Daisetsuzan National Park – The largest national park in the Hokkaido region, Daisetsuzan National Park is situated in a mountainous area with thriving forests and wildlife. It is home to brown bears and deer, and offers scenic views of the unspoiled surroundings.Hiring a car to travel to the park is recommended. For car rental information, drop by the tourist information centre at Sapporo Station. Noboribetsu – Unarguably the most popular onsen resort in Hokkaido, Noboribetsu features a wide variety of hot spring water options that provide therapeutic waters for an excellent relaxation experience.Noboribetsu can be accessed by taking the Hokuto Ltd Exp Line to Noboribetsu Station. The one-way trip takes about an hour and fifteen minutes. To travel to Niseko from Sapporo, take the Ltd Exp Super Hokuto Line to Oshamambe Station, and then transfer to the JR Hakodate Line to Niseko Station. The one-way trip takes about four hours. An entire day in Niseko can be spent hiking up Mt Annupuri. At a height of 1,308 metres, the mountain offers many opportunities to see the amazing red and yellow surroundings. At the foot, there is an onsen called Goshiki Onsen, where you can spend an hour or so relaxing once you’ve completed the tiring climb. To get there, catch the red bus that runs from Niseko Station to Goshiki Onsen. Onumakoen, or Onuma Park, is a scenic natural area with views of Mt Komagatake, a dormant volcano, and several lakes. From Niseko Station, take the JR Hakodate Line to Oshamambe Station, and then transfer to the Ltd Exp Super Hokuto Line to Onumakoen Station. The one-way trip takes about two and a half hours. Categorised as a “quasi national park”, Onuma Park is an excellent destination for fans of nature and the outdoors. It contains Onuma Lake and Konuma Lake, the surrounds of which offer picturesque scenery and numerous walking trails. Small bridges link some of the islands scattered in the lakes and there are also biking trails, boat tours, fishing, camping, and canoeing facilities. From Onumakoen Station, the park is only a one-minute walk away. An onsen and ski resort located in Yamagata Prefecture’s high and imposing mountain range, Zao Onsen is best known for its snow monsters or “juhyo”, which are actually trees that take on interesting shapes in the heavy snow and freezing cold weather. Travelling from Onumakoen to Zao Onsen takes about seven hours. From Onumakoen Station, take the Ltd Exp Super Hokuto Line to Shin-Hakodate-Hokuto Station. Then, take a Shinkansen to Morioka Station, where you need to transfer to another Shinkansen going to Sendai Station. From Sendai Station, hop on a JR Senzan Line train headed to Yamagata Station, where you can take a bus to Zao Onsen. The entire trip is covered by the JR Pass, except for the bus ride, which costs 1,600 yen. The next day, start your journey to Nagano early by taking a bus from Zao Onsen back to Yamagata Station. Then, take a Shinkansen to Omiya Station, where you have to transfer to another Shinkansen going to Nagano Station. The bullet train rides take about three and a half hours. An old temple town in Nagano Prefecture, Nagano is surrounded by many forested areas that look amazing once the leaves change colour in autumn. Togakushi-Yama – Togakushi-Yama, or Mount Togakushi, is a 1,904-metre high mountain in the northwestern part of Nagano city. It has been considered a sacred site since the 9th century and has the Togakushi Shrine situated at its base. Togakushi Heights – At an altitude of 1,000 metres, Togakushi Heights is a paradise that offers a lush natural environment, with cedar trees that line the road leading to Togakushi Shrine’s Oku-Sha. 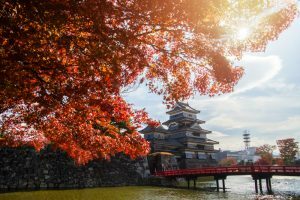 Matsumoto Castle – Another good option for viewing autumn foliage is Matsumoto Castle, which is considered to be one of the most beautiful original castles of Japan. Its grounds cover a spacious area with gardens containing different kinds of flowering plants and trees.From Nagano Station, take the Ltd Exp (Wide View) Shinano Line to Matsumoto Station. The castle is only a 15-minute walk away. Kamikochi – For some more spectacular natural scenery, head to Kamikochi, which is a top-notch resort in Nagano’s Northern Alps. 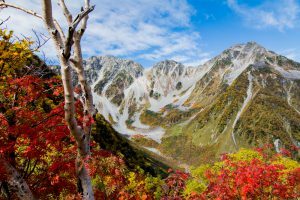 It sits 1,500 metres above sea level and is surrounded by fantastic views of very tall mountains, such as Yakedake, Okuhotakadake, and Maehotakadake. It also has many hiking trails, mountain huts, and a few hotels and shops.Ensure you schedule your visit to Kamikochi outside of the 16 November – late April period, as it will be closed during that time.From Matsumoto Station, take the Matsumoto Electric Railway to Shin-Shimashima Station, and then hop on a bus to Kamikochi. The entire journey takes about an hour and a half and is not covered by the JR Pass (one-way fare costs about 2,500 yen). Kawaguchiko is known for its amazing views of the majestic Mount Fuji. It is also where you can find Lake Kawaguchiko, which is the most easily accessible lake among the five lakes surrounding the volcano. From Nagano Station, catch a JR Shinonoi Line train to Matsumoto Station, and then transfer to the Ltd Exp Super Azusa Line to Otsuki Station. From Otsuki Station, your journey is no longer covered by the JR Pass, so you have to pay 1,140 yen for a ticket on the Fujisan Express train headed to Kawaguchiko Station. The entire trip takes about four hours and fifteen minutes. Excellent autumn foliage viewing spots are found all over the Kawaguchiko area. 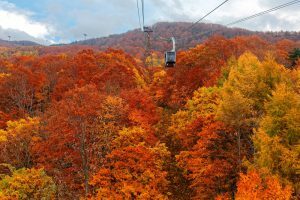 Kachi Kachi Ropeway – Ride the Kachi Kachi Ropeway up to Mount Tenjo’s observation deck to enjoy a panoramic view of the lake and the town, with the imposing snow-capped Mt Fuji in the background. 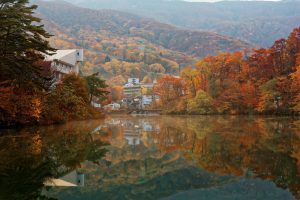 Tensui Kawaguchiko – Dip in relaxing hot spring waters while taking in the gorgeous autumn colours at the Tensui Kawaguchiko, a public bathhouse that offers outdoor baths, indoor baths, and saunas. 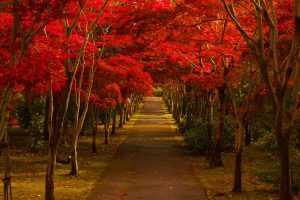 Lake Kawaguchiko’s North Shore – A walking path along Lake Kawaguchiko’s north shore is lined by cherry and maple trees that form a red and yellow canopy during autumn. Arakura Sengen Shrine – The hike to the Arakura Sengen Shrine entrance takes you through a forest of stunning autumn foliage.There are two retro buses that travel from Kawaguchiko Station to these autumn viewing spots and other parts of the Lake Kawaguchiko area and the nearby Lake Seiko. More information is available at the Kawaguchiko Station Tourist Information Centre. Take the Fujikyu Railway Line to Otsuki Station (not covered by the JR Pass, one-way ticket costs 1,140 yen). From Otsuki Station, board a JR Chuo Line train or a Ltd Exp Kaiji train to Tokyo Station. This portion of the trip is covered by the JR Pass and takes about two and a half hours.